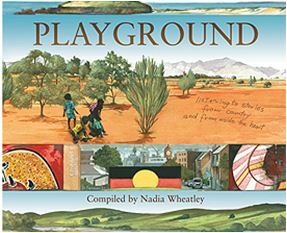 Playground : listening to stories from country and from inside the heart compiled by Nadia Wheatley; illustrated and designed by Ken Searle ; indigenous consultant, Jackie Huggins. 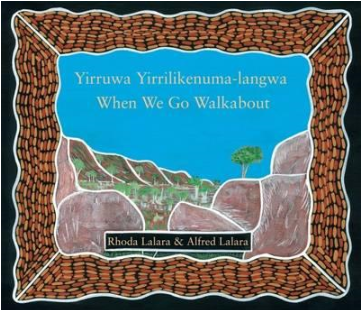 Yirruwa Yirrilikenuma-langwa : when we go walkabout story by Rhoda Lalara ; pictures by Alfred Lalara. Set on Groote Eylandt, this beautiful book invites children to look for animals in different habitats throughout the course of one day. Yirruwa yirrilikenuma-langwa, amiyembena yirrirringka yirruwa? When we go walkabout, what do we see? There is also a Soundcloud recording of the reading of this book in language. 12 animated stories accompanied by information about the story, activities and study guides. Publication Date: Broome, Western Australia : Magabala Books, 2014. Publication Date: Broome, W.A. : Magabala Books, 2010. Elephants in the bush and other Yamatji yarns by Clarrie Cameron. Publication Date: Broome, Western Australia : Magabala Books, 2013. The Day Palm Island Fought Back by Isaro, Dulcie Polowea. Publication Date: Thuringowa, Qld. : Black Ink Press, 2012. Maralinga: The Anangu Story is our story. Describes what happened in the Maralinga Tjarutja lands of South Australia before the bombs and after. A powerful history of black and white encounters in Australia since colonisation, fully updated edition. Books and research focused on Aboriginal and Torres Strait Islander peoples, histories and cultures. To find books on a topic, start by searching for your keywords in Library Search. Look for a title that is relevant, then scroll down to view the Subject Headings which you can click on to find more titles on the topic. 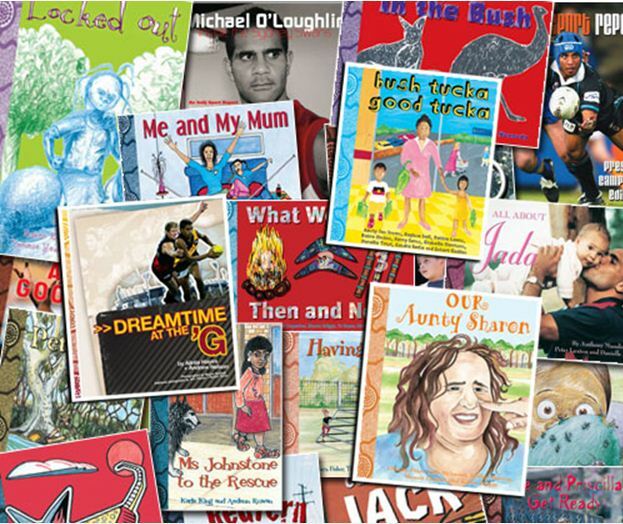 Children, Aboriginal Australian Juvenile fiction. Limit your searches further to Curriculum Collection, Fisher Collection or the Wingara Mura Library collection. Library databases index the literature in the field. When searching a database break down your question into the main concepts and list search terms and synonyms and use these to search for your concepts. Not all records in the database will have full-text links, if the full-text is required consult Library Search; for assistance ask our staff at the Fisher Information Desk phone 9351 2993. Watch the library's short video on how to search databases effectively, it's called Search Smarter, Search Faster. The A+ Education database is a good database to start with, as it is has regional Australian content. An essential resource that provides access to information on all aspects of Australian education. Offers a variety of content on both historical and topical issues within Indigenous studies. Includes material from Australia, Indonesia, Malaysia, New Zealand, North America and The Pacific. BlackWords records information about the lives, careers, and works of Aboriginal and Torres Strait Islander writers and storytellers and the literary cultures and traditions that formed and influenced them. A step by step guide to finding information about Australian Indigenous literature. This system records the location details of over 50 million items held in most Australian academic, research, national, state, public and special libraries. Curated lists of books on Aboriginal Australia. Search Listopia on GoodReads for any topic or genre. Indigenous literacy materials for students learning to read and write. These titles also showcase Australian Indigenous artists. Titles below are just a sample of the materials held in Fisher Library's specialist Curriculum Collection. View Honey Ant Teaching resources on the web. Look up the Honey Ant Readers on Youtube and you will find videos of the stories such as Nana Dig. Indij readers for little fullas, for big fullas . Indij readers for little fullas, for big fullas. Series two.